Celebrating the ambition and imagination of London’s emerging creative community as much as ideas of sustainability, the first of the Flyknit Collective creative and sports workshops at Nike’s 1948 space were led by an inspiring cast of young, creative Londoners. From the forward thinking architect studio We Made That to acclaimed portrait and documentary photographer James Pearson-Howes, RCA grad and communications designer Alice Moloney, Frostville illustrator Daniel Frost and sports trainer Chaka Bars, these characters are re-interpreting the local area in their own ways, changing the way we look and interact with east London. To further explore sustainability in east London, Dazed have collaborated with the Flyknit Collective and the workshop participants, mapping out and posting locations that inspire them with regards to the local community and sustainability. This will grow as the 1948 workshops continue, with more moments mapping out the city. 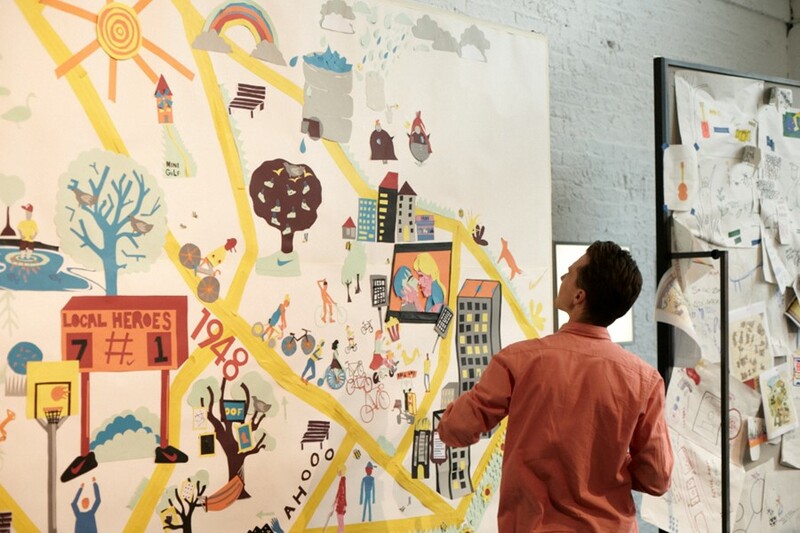 Check out the Sustainability Map of east London here. And go behind the scenes with the Flyknit Collective here.